Exciting things are happening at Milwaukee Electronics and I wanted to take the time to personally explain these changes to you. 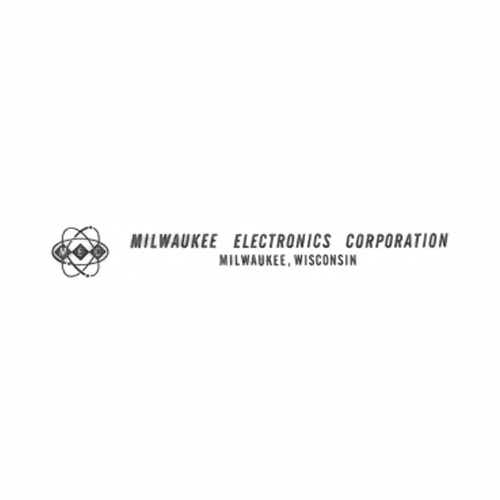 Going Back To Our Roots: As of today our company will again be known as Milwaukee Electronics vs. the shorter MEC designation. You’ll notice that we have a new logo designed to reinforce the linkage among our business units. We chose to return to this name because it simplifies who we are and what we do. I would like to take this opportunity to share our history with you to give you some context to these latest changes. Our Core Business Remains Unchanged: Since our inception in 1954, Milwaukee Electronics has been focused on providing high quality electronic engineering and manufacturing services. During the last 25 years, we have experienced a lot of growth and diversification of our business model. Since purchasing the company in 1985, our first major investment was moving to a new facility in Milwaukee in 1991. At the same time, we were focused on expanding our sales network, and during this time we expanded our network of external sales reps across the Eastern United States. Our First Major Acquisition in 1999: We purchased the PCB Assembly division from an electronics manufacturing company called ECD in Portland, Oregon. This division was located in a suburb of Portland called Milwaukie, which had a similar culture to our own. The acquisition has been a fruitful one for our company, today our Portland facility (hyperlink) has also moved to a larger facility. It was at this time we adopted the name MEC. A New Venture In Mexico: 2002 was another year of expansion for Milwaukee Electronics. We established a maquiladora operation in Tecate, Mexico. In 2012, we broke ground in a large industrial park East of Tecate. Today , we are operating a brand new, state-of-the-art facility there. Starting an E-Commerce business for Engineers: In early 2003, we established our first e-commerce business, Screaming Circuits. We launched Screaming Circuits as a stand-alone quick-turn, rapid prototype PCB assembly for engineers. We were the first company to create an online quote engine that required no login or personal information to get a quote. Our Design Engineering Team Gets a Name: Since Milwaukee Electronics was founded, design engineering has always played a significant part of how we help our customers. In 2003, our design engineering group had grown to over 20 full-time employees, so we decided to give it a name of its own. From ODM to JDM: In 2008, we began developing products of our own which leveraged our knowledge of motors and motor controls, and we created Automation Controls Group. Today they are primarily focused on servicing the materials handling industry, and have developed several product lines consisting of DC motors, controls and other mechanical parts. Establishing Operations in Asia: In 2011, we established 2 new entities in Asia. First, we created an International Purchasing Office (IPO) in Singapore. Our Singapore office’ mission is to identify and develop new low-cost suppliers Milwaukee Electronics can utilize. At the same time, we established a Tech Center in Pune, India. Our Indian operation supports our manufacturing facilities and allows us to be more responsive with around the clock support of key projects. Re-Focusing Our Business: With all the diversification and expansion, we were able to service specific market segments very efficiently. 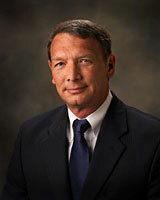 During this time our business grew significantly, but developed redundancies at the same time. In 2011, we started re-organizing the business to streamline operations, for example since mid-2013 all areas of the business utilize the same Epicor ERP system. These changes and streamlining have been in motion for several years now, and we hope that our customers and suppliers have already noticed a difference. The name and logo changes we are making today are a reflection of this, and we think that they do a better job of communicating who we are as a company today. After 60 Years, our core of our Business is Unchanged: Electronics Design and Manufacturing. There are no changes to the management or structure of the company associated with the name and logo changes. I hope that during 2014, you’ll see the results of our integration efforts in terms of stronger, more efficient systems and processes. If there are further opportunities for us to improve, I’d love to hear from you.